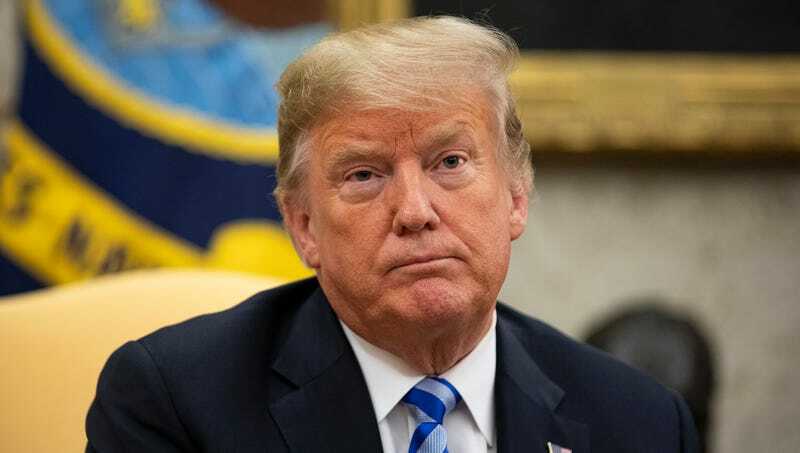 WASHINGTON—Questioning the actions taken by Christine Blasey Ford in the 1980s following the alleged sexual abuse by Supreme Court nominee Brett Kavanaugh while they were in high school, President Donald Trump reportedly asked Friday why she didn’t just immediately request hush money. “If this thing actually happened, why didn’t she come forward 30 years ago with a demand for secret payments to keep quiet?” said Trump, adding that a decades-old allegation of sexual abuse that wasn’t instantly followed by her threatening to go public unless Kavanaugh and his family paid her off totally lacked credibility. “If the attack on Dr. Ford was as bad as she says, surely she has a copy of the demands she sent to Brett Kavanaugh or bank documents showing the transfer of a six-figure sum into her account during the ’80s that she could show us. It’s baffling—if he really did something illegal, why didn’t she just demand money for her role in covering up the crime? That’s what any normal person would do.” The president acknowledged that he could see how someone might have difficulty remembering the exact details of their involvement in a six-figure hush money payment made back in the 1980s.